Before accepting the position of Executive Vice President, Ms. Burns provided contract services to HTC involving research and preparation of training resources. Born and educated in Canada, Ms. Burns has a broad background in a variety of management settings. For eleven years, she was the manager of the largest professional journalism school in Canada. This position afforded her the opportunity to use a wide range of skills from counseling for career planning to the writing and production of print collateral. Subsequently, she worked as the product development manager for a niche tour packager and retailer, planning and booking the complex components of hundreds of tour itineraries. 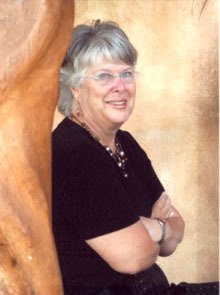 Ms. Burns has provided research assistance for a major Canadian biographer and has prepared training materials for a number of American corporations. Ms. Burns is a graduate of the University of North Texas with a Masters degree in Communication Studies (Thesis Title: The Rhetoric of Technological Flaws: The Intel Pentium Microprocessor). She was elected to the Board of Directors of HEDNA (Hotel Electronic Distribution Network Association) in December 2000 for a two-year term.